The parking lot of a birding site was full. I expected to see some happy birders. Instead, I saw several groups of people with rifles walking out of the site. One of the women even showed off her prey, a breathless pheasant! 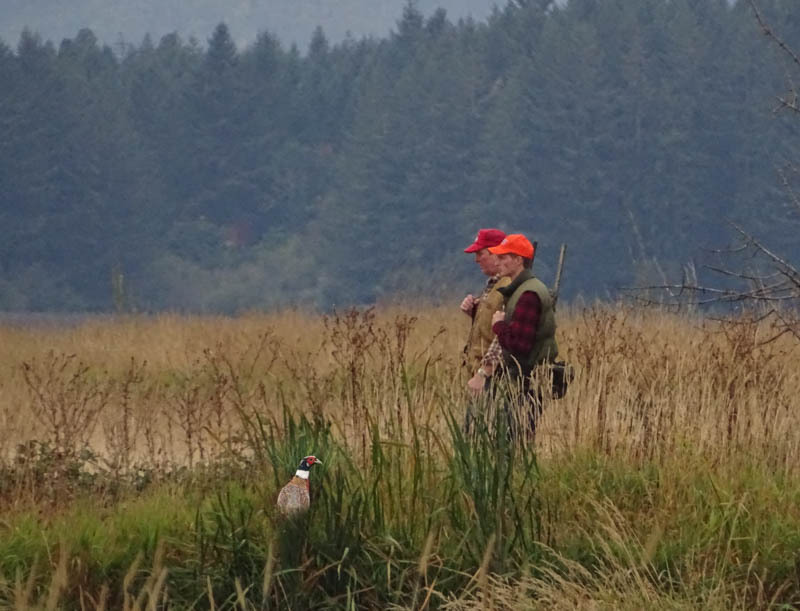 The gunshot was off sparsely, and we saw a pheasant hiding under the tall grass. 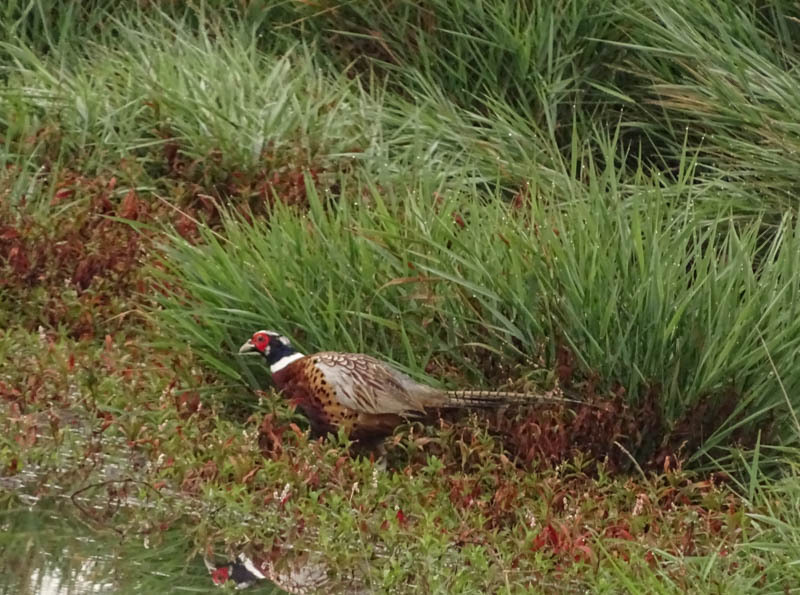 Though pheasant’s head is quite small, the red and white looks too conspicuous among the green. I sweated for the poor thing. Luckily he was only visible to us birders, not the hunters.